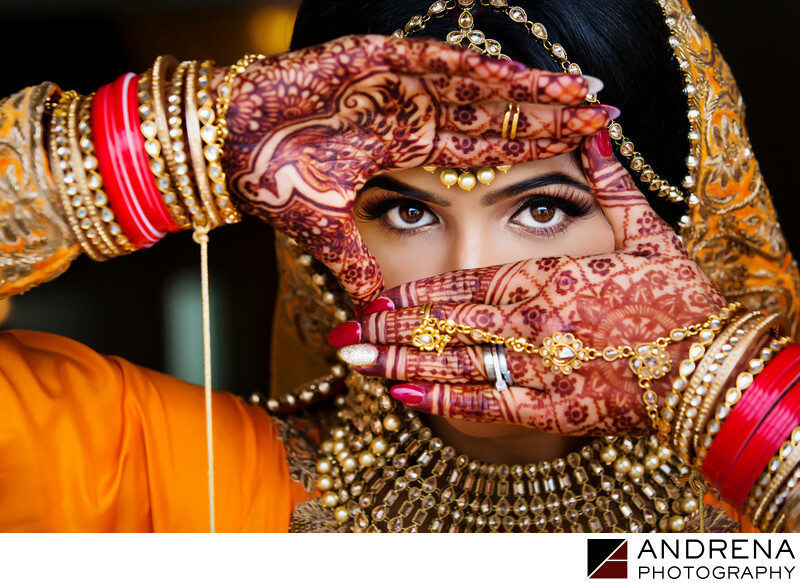 Andrena Photography provides wedding and event photography in Los Angeles, Beverly Hills, Beverly Park, Bel Air, West Hollywood, Santa Monica, Downtown Los Angeles and Pasadena. As I was born and raised in Los Angeles, I am always happy to help my clients make use of all the many hidden photography locations tucked in and around these cities. A bit further out, I have had the privilege of photographing joyful events in Topanga Canyon (known for its rustic beauty), Sherman Oaks, Canoga Park, Long Beach (home of the Queen Mary), Temecula (featuring numerous wineries and antique shops) and Riverside. Further north, I’ve enjoyed working in the beautiful and nature-filled areas of Malibou Lake (where I grew up and where my parents still live), Westlake Village and Thousand Oaks. And when driving is in the cards, I’ve had the opportunity to work in the beautiful cities of Santa Barbara (known for its Spanish architecture and world-renowned restaurants), Montecito and the surrounding areas. I truly enjoy serving as a wedding and event photographer in the beautiful Orange County beach cities, including Dana Point, Laguna Niguel and Monarch Beach. These cities boast some of the most beautiful hotels and resorts in Southern California, as well as charming art galleries and stylish restaurants. The coastal landscape is a sight to behold, and visitors love spending time in these gorgeous areas. If you’re in the neighborhood, be sure to get up early to watch the sun rise over the coastal oceanfront cliffs. Another city that provides a gorgeous rocky landscape and stunning coastal views is Rancho Palos Verdes, which boasts several beautiful wedding and event venues. 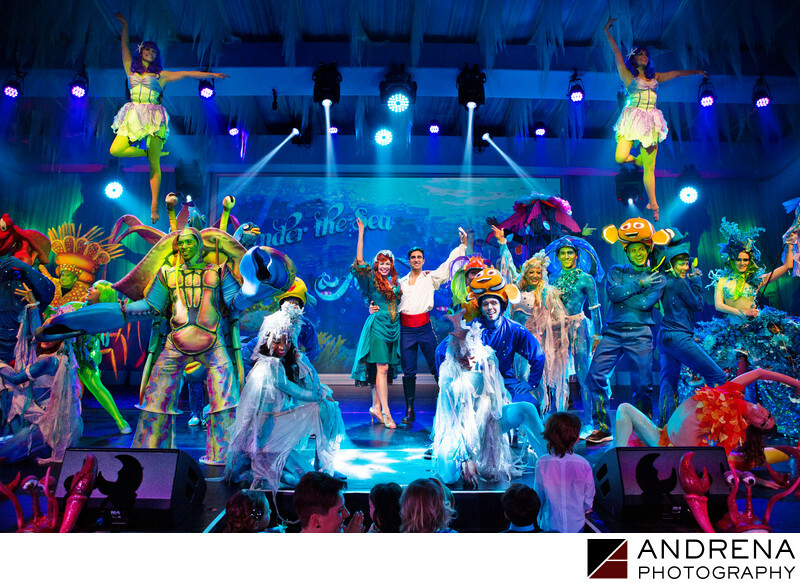 We also love shooting events in Newport Beach, Huntington Beach, Santa Ana, Orange, Anaheim, Manhattan Beach and the surrounding areas. As a wedding photographer working in the melting pot that is Los Angeles, I have had the great opportunity to work with many different cultures and religions. Multicultural weddings are so beautiful and have enabled me to learn so many wonderful traditions and customs. I feel honored to have photographed Jewish weddings of all kinds (Reform, Conservative and Orthodox), as well as Persian Jewish and Persian Muslim ceremonies. I love photographing Chinese ceremonies, as well as Filipino, Korean and Vietnamese weddings. The Korean Pae-Bek ceremony in particular is so colorful, and I love watching the bride try to catch dates thrown by her groom’s parents to denote how many children they want her to have. I adore the pageantry of weddings from the Eastern side of Europe, including Greek Orthodox, Serbian Orthodox and Polish Catholic. I have also had the opportunity to shoot many beautiful Russian weddings and parties, as well as Melkite Catholic and Armenian Apostolic weddings. Photographing multicultural weddings and events is a great honor that has enabled me to broaden my horizons in more ways than I ever imagined. I have extensive experience photographing Indian weddings and South Asian weddings of all kinds, including South Indian, Gujarati, Sikh, Bengali, Jain, Punjabi Hindu, UP, Fijian, Sindhi, Muslim, Ismaili and Sri Lankan. I have also photographed three weddings in India, and have visited numerous cities in India, including New Delhi, Udaipur, Jaipur, Allahabad, Agra, Varanasi, Kolkata, Cochin, Kumarakom, Mumbai, Amritsar, Sarnath, Gurgaon, Samode and numerous smaller cities in between. I have really enjoyed my travels throughout India, where everyone always has a smile. My work with Indian clients has enabled me to document so many different types of wedding ceremonies, and I’ve loved learning all the regional rituals and traditions. I’ve had the opportunity to photograph Indian weddings ranging from 75 people to 1,250 people, and celebrations lasting from one day to six days. I truly believe that photographing Indian weddings – with their large guest counts and tight timelines – has made me a better photographer. 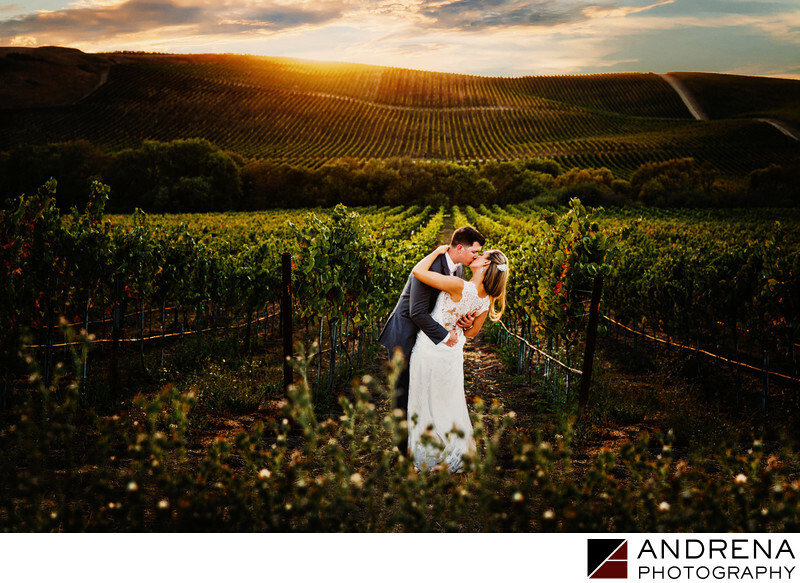 Los Angeles and Orange County have so many beautiful wedding venues, and as an experienced Southern California wedding photographer, I have been privileged to work at most of them. My team and I have photographed dozens of weddings at the Ritz Carlton Niguel in Dana Point, as well as at the St. Regis in Monarch Beach. 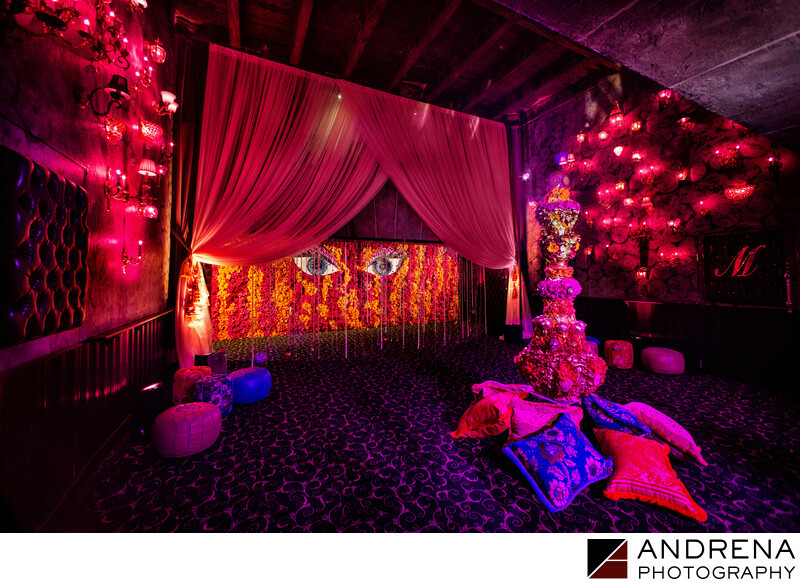 Both of these venues offer endless locations for beautiful photography, and their respective staffs conduct themselves with the utmost professionalism. I have also photographed many weddings at Pelican Hill Resort, Terranea, the Marina del Rey Ritz Carlton, the Montage Resort, the Langham Pasadena, the Laguna Cliffs Marriott and the Huntington Beach Hyatt. Though I often work in Orange County, I live in Los Angeles, and absolutely love shooting weddings at the Beverly Hills Hotel, the Beverly Wilshire Hotel, the Four Seasons Beverly Hills, the Ebell of Los Angeles, the Beverly Hilton, Skirball Cultural Center, the SLS Hotel and the London Hotel, as well as at the Four Seasons Westlake and the Westlake Village Inn. The Beverly Hills Hotel is a particular favorite of mine, as its old-Hollywood glamour is unparalleled. Further north, I have enjoyed working at the stunning Santa Barbara Four Seasons as well as at the Dana Powers House in Nipomo. Back at home, I have also had the privilege to shoot many events and private parties at estates in Beverly Park. Some of the more charming weddings venues I’ve worked at include the Hotel Figueroa and Smog Shoppe, both of which are located in Los Angeles, and Descanso Gardens, which is located in Glendale. If you don’t see your venue listed here, chances are very good that I’ve worked there or would love to photograph an event there. I believe that the best engagement session locations involve a perfect combination of light, color and diversity of backgrounds. Some of my favorite engagement locations include Venice, the Los Angeles County Museum of Art, the Santa Monica Pier, Travel Town at Griffith Park, the Arts District in Downtown Los Angeles, Disney Concert Hall, UCLA and USC. These locations all allow photography, provided you are unobtrusive, don’t bring lighting gear and are respectful of the visitors who may be milling about the various locations. Midway between Los Angeles and Orange County you’ll find the Malaga Cove Library and surrounding areas, with nearby access to a rocky beach. These locations also do not require permits. Locations that involve advance permission and permit fees include the Viceroy Santa Monica, the Avalon Hotel, Huntington Gardens in Pasadena, the Los Angeles River Center and Gardens, Greystone Mansion, San Juan Capistrano Mission, Little Corona Beach and El Matador Beach. Fees for these locations range from $75 on up to $750. Locations that do not allow photography at all include the Getty Museum, the Getty Villa, Rodeo Drive, Pershing Square, Hollywood and Highland, and The Grove. I am always happy to help you understand which locations will work best for your engagement session. Destination wedding photography has provided me with many adventures and wonderful opportunities to creating stunning images for my brides and grooms. I have had the great fortune to photograph destination weddings in many beautiful locations, including Cartagena, Colombia. Cartagena is a stunning location for a wedding, featuring beautiful old stone churches and endless locations for portraits within the old walled city. Photographing a gay wedding at Knappogue Castle in County Clare, Ireland, was one of my absolute joys, and the castle’s period performers were incredible. I still count both grooms as good friends. I have loved photographing three destination weddings in the great palaces of India, including Devi Garh, the Lake Palace, the City Palace Complex and Jag Mandir in Udaipur. I also had the great opportunity to photograph a beautiful wedding at Samode Palace near Jaipur. Photographing a day-after session in Samode Village was a true joy. Traveling to Istanbul, Turkey, to photograph a wedding along the shores of the Bosphorus was an incredible experience, as was shooting a day-after session in and around the streets and beautiful landmarks within Istanbul. My very first destination wedding took place in Bali, Indonesia, shortly after the Bali bombing. The island was thus empty of tourists, and we had the Ritz-Carlton hotel in Jimbaran basically to ourselves. It was an incredible opportunity to photograph a stunning wedding, and I loved the adventure of it. Flying to Tortola, British Virgin Islands, was a unique challenge that involved taking a propeller plane from Puerto Rico. But I loved working near the beautiful warm waters and white sand beaches. Quito, Ecuador, presented another destination wedding adventure for me, and I adored photographing my clients’ wedding in a gold church that defies description. I will never forget photographing a destination wedding in Belgrade, Serbia, shortly after the Kosovo secession. And of course, I have had the privilege of photographing numerous weddings in Mexico, including Los Cabos, Cabo san Lucas, Playa del Carmen and Tulum. I was named one of the best destination wedding photographers by Bride Box. I am honored to have been published in hundreds of wedding and photography magazines. Two of my greatest honors were being chosen as one of the Top 10 Wedding Photographers in the World by American Photo Magazine, and being featured on the cover of Popular Photography Magazine. For a complete visual record of my published work, be sure to check out the Published Work section of this web site. I happily send out pricing upon request, so please don’t hesitate to contact me via email or phone, and I can send it right over to you. I am also happy to put together custom quotes for complex events or multi-day weddings. I have had the great opportunity to work with some incredible vendors, so I am always happy to provide my clients with vendor referrals to professionals who consistently do wonderful work. For a list of some of the vendors I’ve worked with most often, please see the Referrals section of this web site (under Info & FAQs).